Everton's Oumar Niasse has joined Cardiff City on loan until the end of the season. Manager Neil Warnock confirmed the signing during this morning's press conference. Cardiff travel to Newcastle tomorrow, where Niasse will now be available for selection. "I've got the opportunity [to play him]," he said. "I'm relieved as I thought it was done yesterday, so to find out this morning is something I could have done without. But it's nice to know he is available for selection." Niasse has scored eight goals in 31 Everton appearances but struggled to make an impression this season. He has not scored in any of his seven games, with his last appearance coming in the 1-0 defeat at Brighton on December 29. "[Phil] Jagielka said he'd be my type of player," he added. "There's not many players on loan who are like Niasse. I wanted [Nathaniel] Clyne but that meant I wouldn't have been able to get Niasse. He's got a chance to put himself in the shop window, like Victor [Camarasa]." 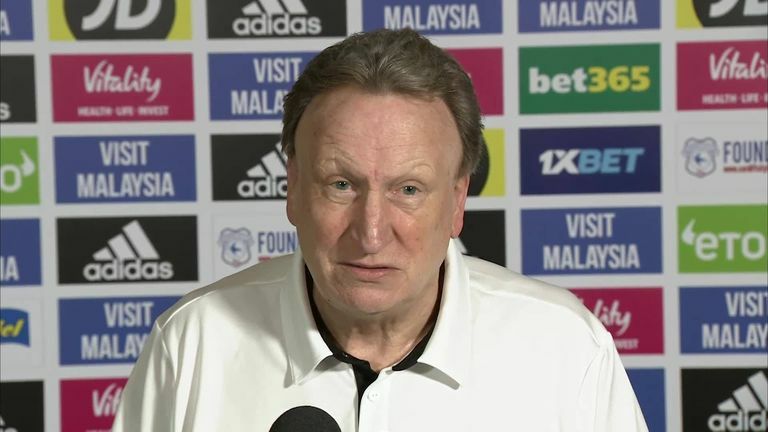 Cardiff, one place above the relegation zone with 19 points from 22 games, are looking for more attacking options having scored just 19 goals on their return to the Premier League.